The BeanStalk team has gone out of its way to introduced support for AT&T Galaxy Note 2 LTE SGH-I317. The new version of the already famous BeanStalk custom rom based on Android 4.4 Kit Kat contains plenty of new features. And with the new release schedule, it will only be brining more features to consumers, faster than ever before. BeanStalk Android 4.4 supports a wide variety of Galaxy Note 2 handsets, including the AT&T Galaxy Note 2 LTE SGH-I317. The latest BeanStalk custom rom is based on Android 4.4 Kit Kat ROM, which will allow you to enjoy the latest iteration of Android 4.4 Kit Kat your AT&T Galaxy Note 2 LTE SGH-I317. Download the above mentioned BeanStalk Android 4.4 Kit Kat file and copy it to the internal SD card of your phone, without unzipping it. Click on ‘Install zip from internal sdcard’ option, then on ‘Choose zip from internal sdcard’. Once in directory, look for BeanStalk-4.4001-W03Tweaks-2.01-20131124-t0lte.zip file that you copied earlier in Step 2 and select it by pressing Power button. Confirm installation by selecting Yes. Install the said zip file on the next screen. The ROM installation will begin. Once, the phone finishes installing the ROM, you will need to re-do step 7, but choose gapps-jb-20131107-signed.zip file instead of ROM zip to install the Google apps package. When GApps get installed, go back to the main recovery menu and select reboot system now to reboot the phone and boot up into customized BeanStalk Android 4.4 Kit Kat. Your phone will take a while to boot for the first time, after the installation of the new rom, do not panic! 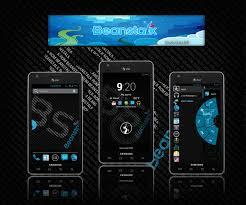 You are now running BeanStalk Android 4.4 Kit Kat ROM on AT&T Galaxy Note 2 LTE SGH-I317. If you are facing any issues, feel free to mention it in our comments section.